How much is Naomi Osaka Worth? 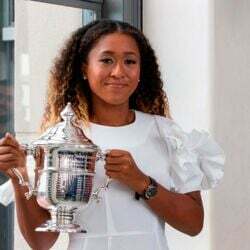 Naomi Osaka net worth: Naomi Osaka is a Japanese American professional tennis player who has a net worth of $8 million. Naomi Osaka was born in Chuo-ku, Osaka, Japan in October 1997. 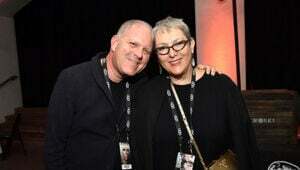 She turned professional in 2013 and has won more than $7 million in prize money. 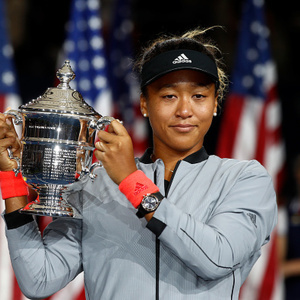 Osaka's biggest win was winning the US Open in 2018 by defeating Serena Williams. She has won a total of two WTA titles and achieved her highest ranking after winning the US Open in September 2018 at #7. Naomi Osaka reached the 4th round of the Australian Open in 2018 and the 3rd rounds of the French Open and Wimbledon in 2016 and 2018 (French) and 2017 and 2018 (Wimbledon). Her first win was at the 2018 Indian Wells Open. 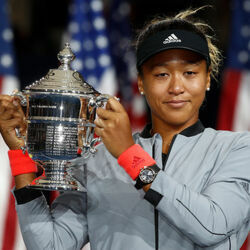 She won $3.8 million for winning the US Open and signed an endorsement deal with Nissan. Osaka resides in Fort Lauderdale, Florida. Her mother is Japanese and her father is Haitian.